In the spirit of the season, I will send my two CDs to one person to be chosen by random drawing on Dec. 20. To enter, comment (click on “comments” to the left, just below the date) or e-mail me. I gave two CDs to the men who came to clean the gutters — I think the CDs are going to end up in their children’s stockings in a few weeks, though adults love stories, too. I gave one to the mail carrier, too. He likes the frogs in the mailbox almost as much as I do. Our former mail carrier gave her copy to her daughter, and it helped ease her hospice patients. I try to have some with me at all times, and when I see children being charming or anyone who seems to be in need of a story, I give a gift! CDs and Books available from me and from CD Baby and iTunes. From Aesop to Uncle Remus, stories have been a way to entertain as well as illustrate life lessons and simplify complex situations. Stories delight children and adults alike, and they enhance critical thinking and problem solving. 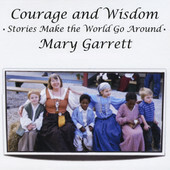 This CD presents some favorite stories that both entertain and enlighten. I hope you’ll enjoy them as much as I do. More details and links below.